Prepare to Be Green with Envy…. My sister Phooey is pretty amazing. Actually, all of my sisters are quite extraordinary, but Phooey in particular is downright ridiculous in the kitchen. Other than tricks from experience passed down from the family, Phooey is self-taught through her copious amounts of research, books, and watching endless cooking shows. People are typically in awe by her creations, wondering why this pharmacist doesn’t go pro. Heck, I wish she would too so I could play in her bakery kitchen. However, she insists it would lose the fun of it all and prefers to “experiment in the lab” (as she refers to it) without pressures. She produces dishes that are downright cookbook-picture-perfect and follows the same philosophy that our mom passed down to each of us—–use the freshest and best ingredients you can get a hold of. It goes without saying that this Foodie-Wanna-Be attributes a lot of her interest and drive to her sis who first introduced me to the San Francisco Ferry Building Farmer’s Market, Hog Island Oyster Company, Frog Hollow Peaches, Bonny Doon Wines, AG Ferrari’s Caesar Dressing, Rigolo’s Almond Croissants, Mama’s in North Beach—and so much more. Each, holding a significant love in my culinary heart. I will also only briefly mention how she quasi-tortured the bf and I last Turkey Day by making us peel fresh chestnuts. O-M-G. Did I have the cuts and shell shanks to prove that battle!!! And why? Because she said we HAD to try to do it at least once. 🙂 She, of course, was right. And because my kitchen tools were pretty junk back in the day, Phooey has also outfitted me over the years with the best kitchen gadgets–a 14 cup Cuisinart being the latest (Hey–I’m the baby of the family!). 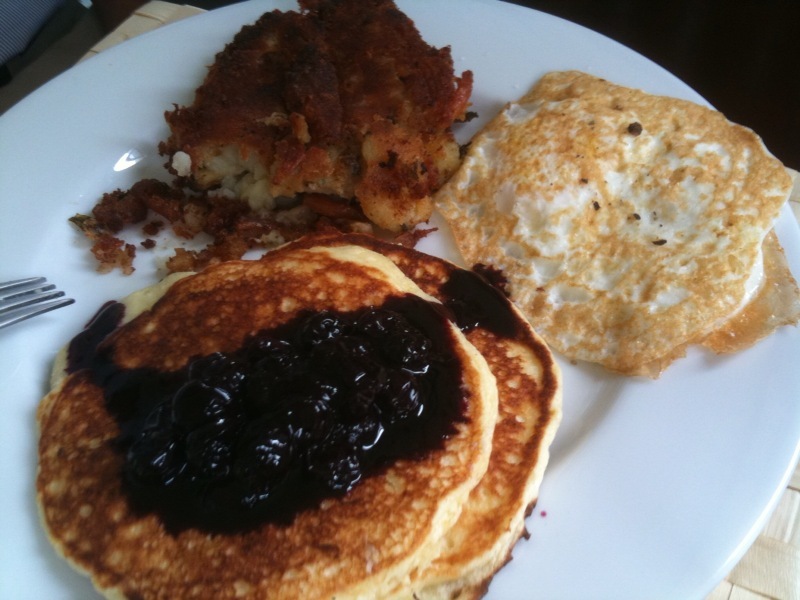 Ricotta Pancakes with Blueberry Compote, Chicken Rosemary Hash, and Egg Over Easy © Photo rights reserved. 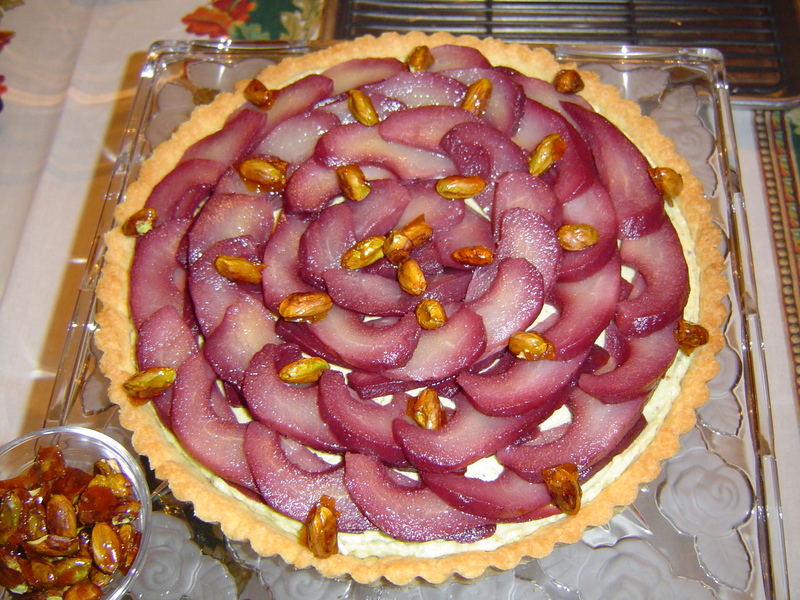 Poached Pear Tart with Caramelized Pistachios (Adapted from Dorie Greenspan) © Photo rights reserved. 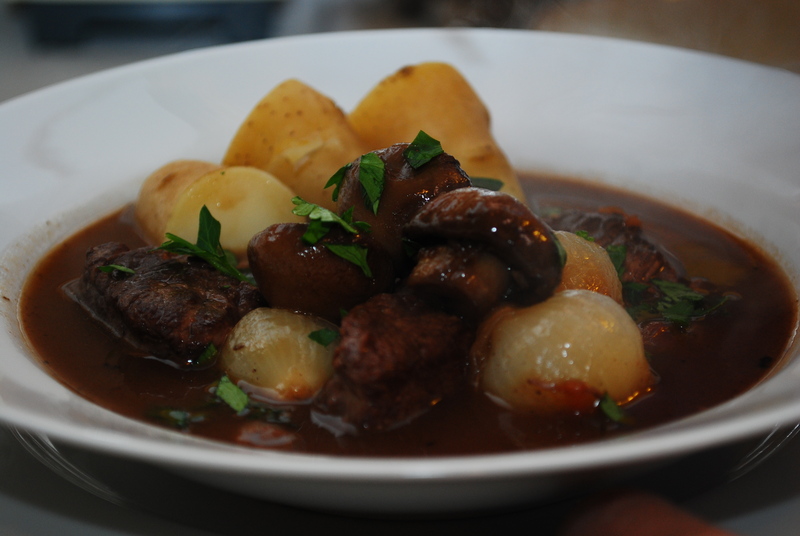 Boeuf Bourguignon with Fingerling Potatoes (Adapted from Julia Child) © Photo rights reserved. 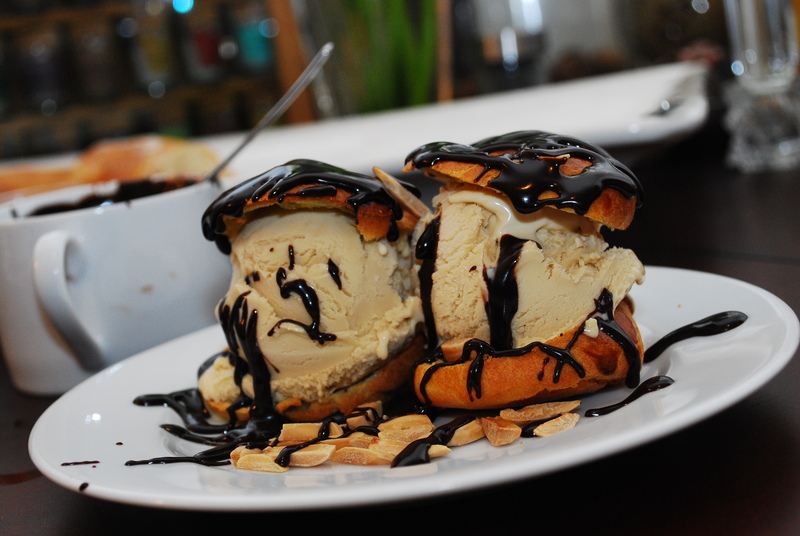 Profiteroles filled with homemade Mocha Coffee Ice Cream, drizzled with warmed Valrhona Chocolate Sauce © Photo rights reserved. 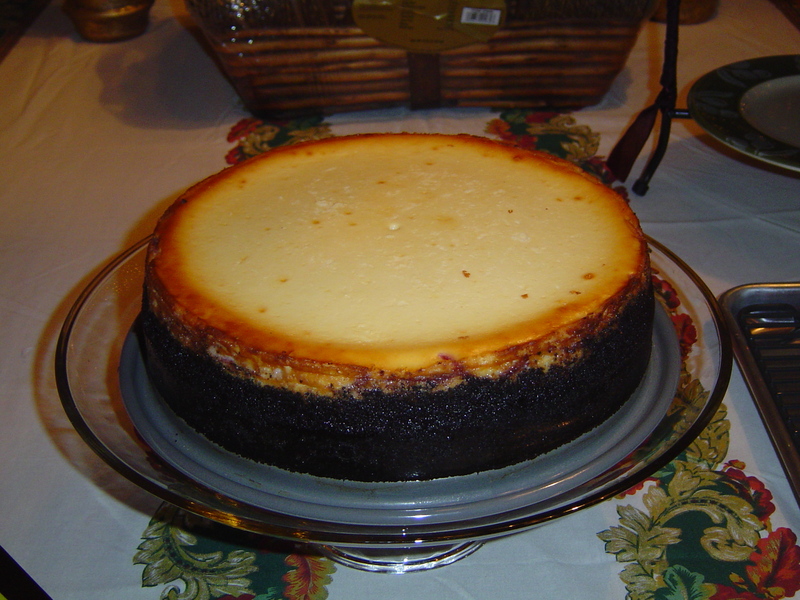 White Chocolate Raspberry Cheesecake © Photo rights reserved. 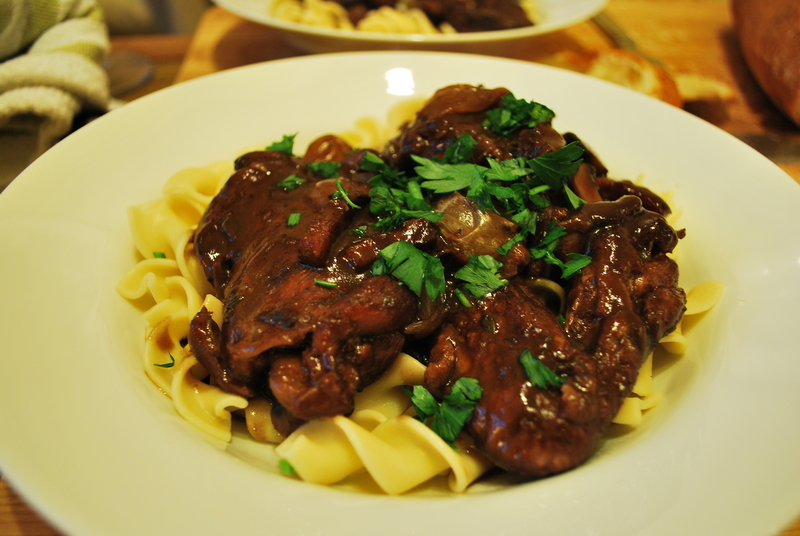 Coq au Vin over Egg Noodles © Photo rights reserved. 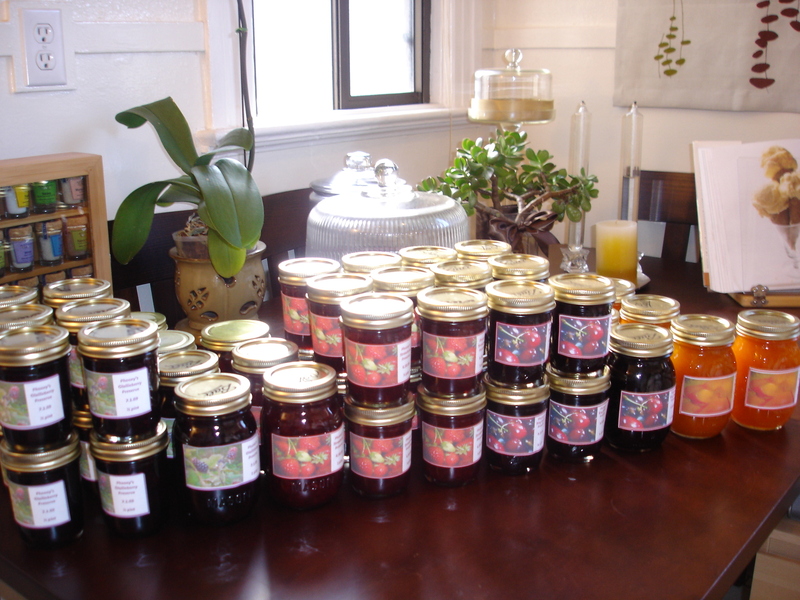 Homemade Preserves: Strawberry, Olallieberry, Bing Cherry, and Apricot. She picked the strawberries and olallieberries and hand-pit all the cherries. © Photo rights reserved. 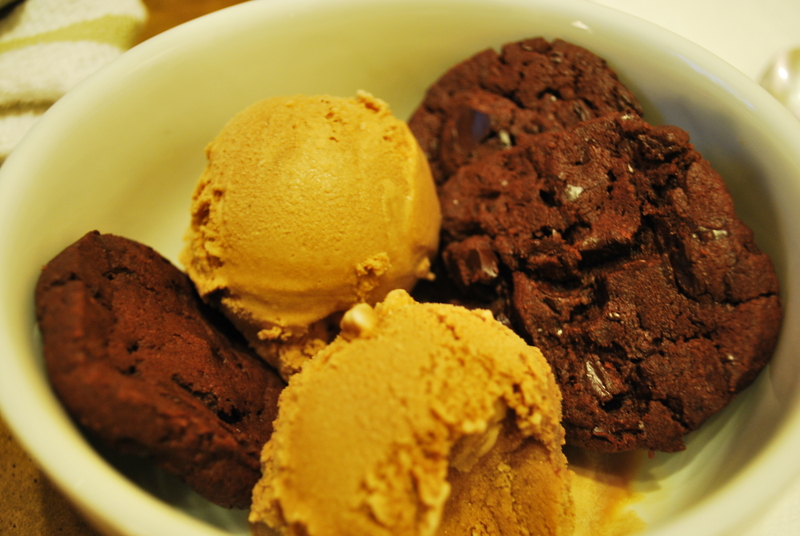 Homemade Vietnamese Coffee Ice Cream with Double Chocolate Sable Cookies © Photo rights reserved. 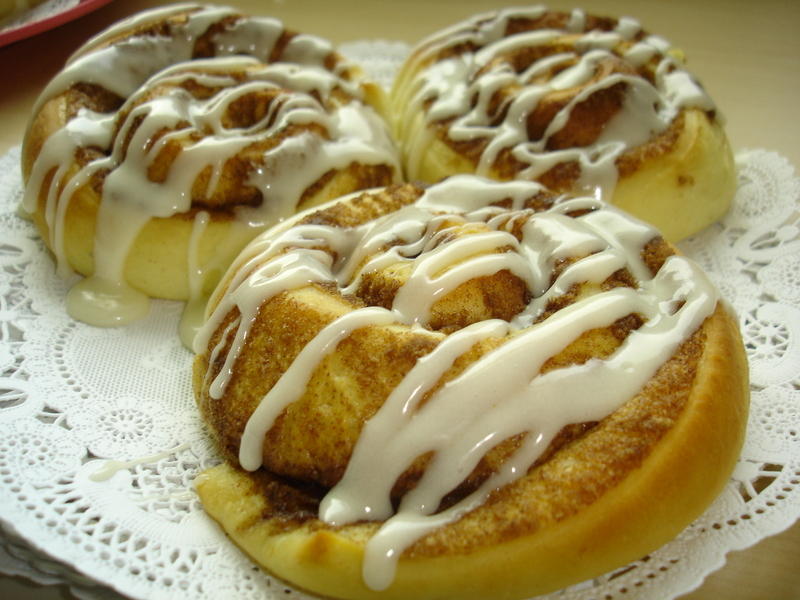 Fresh Baked Cinnamon Rolls © Photo rights reserved. 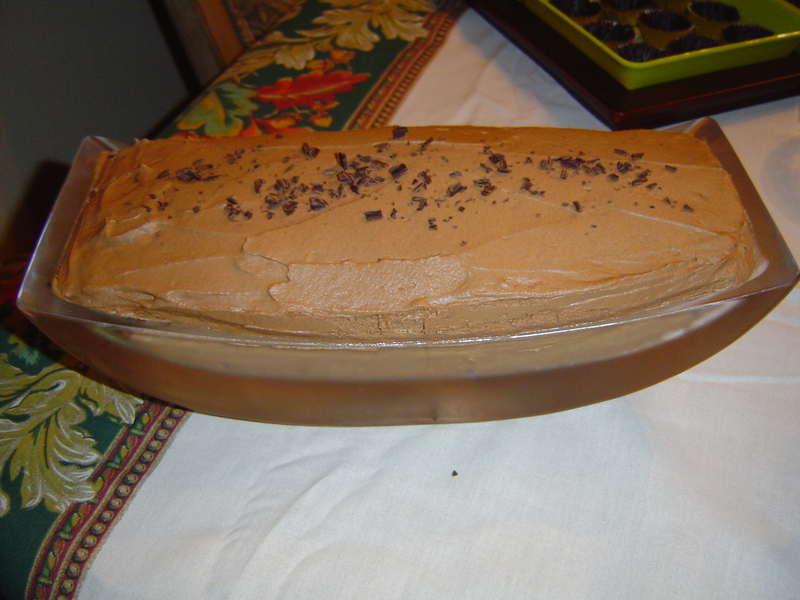 Valrhona Chocolate Mousse © Photo rights reserved. 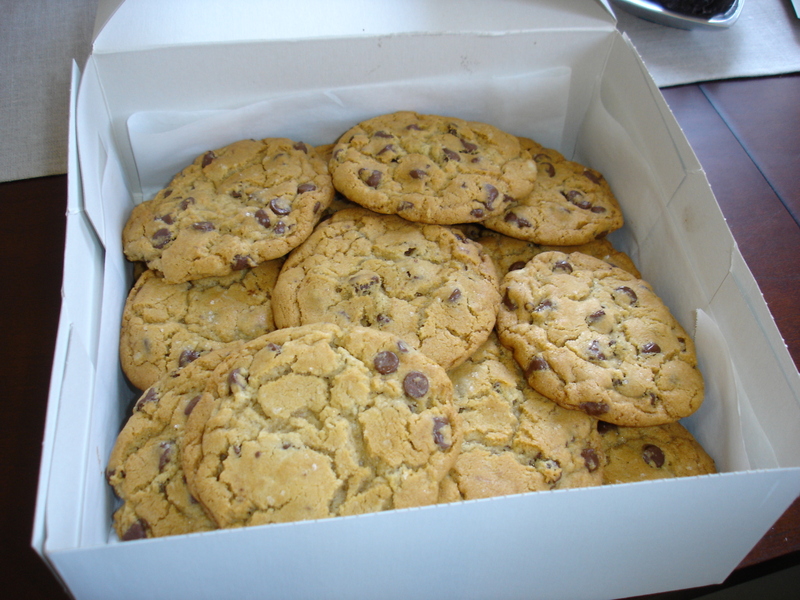 NY Times World's Best Chocolate Chip Cookies © Photo rights reserved. 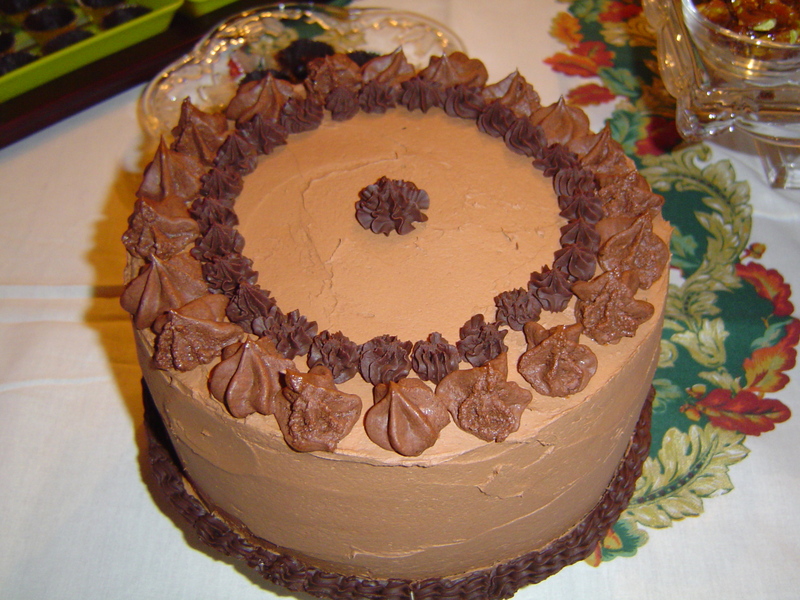 Excessively Expressive Espresso Ecstasy Cake (Adapted from Marcel Delsaunier) © Photo rights reserved. 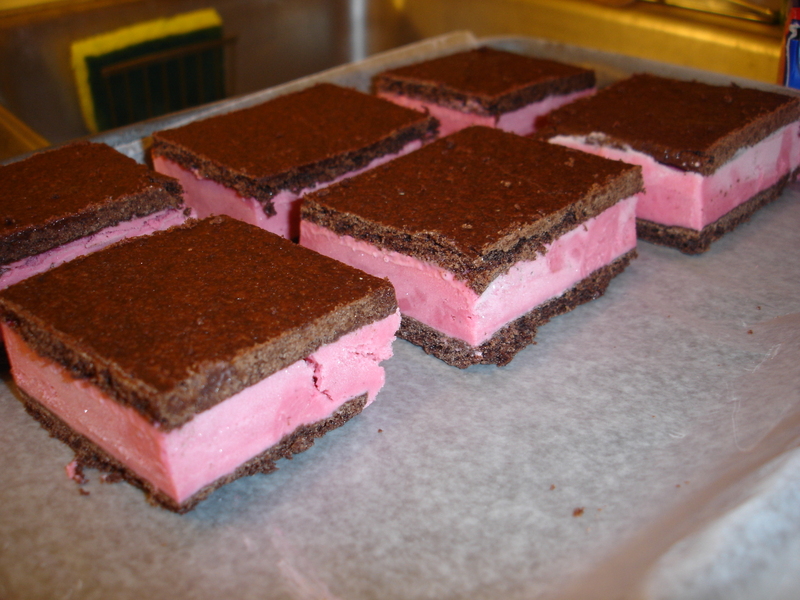 Ice Cream Sammies: Raspberry Ice Cream with Chocolate Cookie © Photo rights reserved. 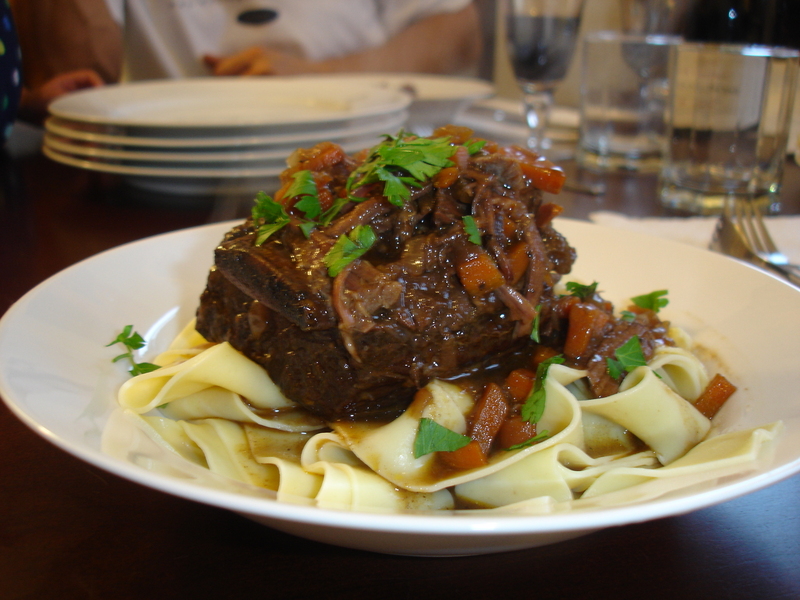 Braised Short Rib Ragu with Fresh Papparedelle Pasta (Adapted from Bobby Flay) © Photo rights reserved. Yes, our family especially reaps the benefits during the holidays! I despise your sister in the nicest way possible =)Those dishes are outstandingly delicious looking! I wish I had the patience and time to make everything from scratch. hey, you’re talking about me! thanks nammie! I sure am, Phooey! 🙂 Thanks for always filling our tummies with yummy goodies!!!!! sigh. must remember not to look at this blog before eating breakfast, lunch, dinner or even mid-day when i need something yummy to fill my tummy…especially those braised short ribs which i have yet to try, and really do what to try! argh. this is torture…. I’m getting hungry and I just had a huge dinner. I’m loving the picture of the profiteroles. Thanks for checking out The Culinary Chronicles!